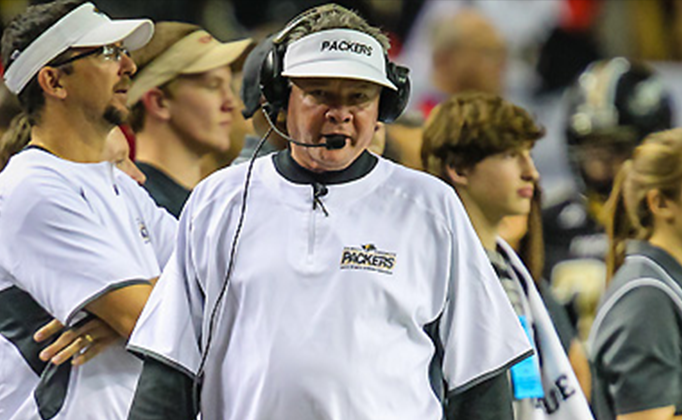 Five days after his is official removal as Colquitt County Packers (GA) head football coach Rush Propst has publicly responded to the allegations that lead to his suspension and eventual firing from the south Georgia school. In a prepared statement released Monday afternoon, the former Hoover Bucs coach claimed that he didn’t learn of the specific charges against him until he read them in The Moultrie Observer’s piece detailing Superintendent Doug Howell’s investigation, which the paper obtained through a Georgia open records request. 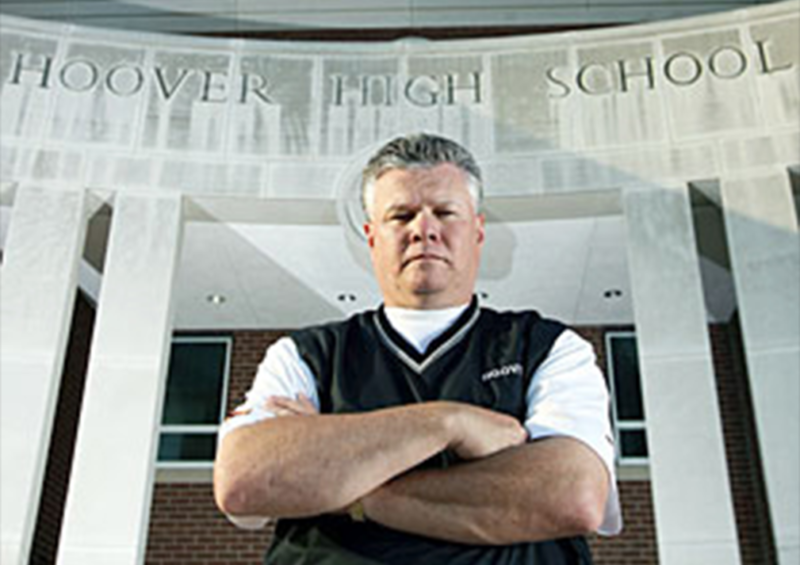 Propst during his tenure as the head coach at Hoover High. “I greatly appreciate the many words of support and encouragement I have received during the last week from so many people throughout our community. It has meant a great deal to me and my family. I believe that certain individuals conducted an investigation into me that they shrouded in secrecy. They developed the conclusions of the investigation before they determined the facts. The entire process was extremely unfair to me. In fact, I was never interviewed and didn’t learn of the allegations, despite requests, until I read the paper Friday. I want to assure everyone that much of the information presented is totally false and the rest is misleading half-truths meant to damage my reputation and support pre-determined actions. As a coach, I always expect ‘fair play,’ but I don’t believe it has happened in this instance. I have been blessed with a very successful 38 plus-year coaching career. In the eleven years I’ve been here, we have built a great program and helped hundreds of students get college scholarships and many more young men begin successful lives in their communities. I am very proud of our success in Colquitt County. There has been a lot of speculation and rumor because of the way Mr. Howell pursued this investigation and how he distributed his conclusions. It is very sad to see this create division in our community. Please don’t join too quickly in arguments with friends and family. While he has been relieved of coaching responsibilities, Propst will officially remain on administrative leave with pay until the Georgia Professional Standards Commission issues their official ruling concerning his status. He will have the option to appeal the commission’s sanctions, if any further penalty is imposed. The case could ultimately end up in court if an agreed upon outcome can not be reached by both parties. Propst, an Ohatchee, AL native, gained a national following after starring in MTV’s reality series “Two-A-Days” which chronicled the powerhouse Hoover High football program. He lead the Bucs to a 110-16 record and five state championships before resigning in a cloud of controversy following the 2007 season. His current head coaching record stands at 295-96 over 19 seasons.